Raise your hand if you love candy corn. For the most part I do a pretty good job of eating all-natural foods, but leave it to Halloween – the candy holiday of the year – to come up with a little sugar bomb called candy corn to throw me off my game. Lucky for me I’m on what I call an “80/20 plan.” Eighty percent of the time I feed my belly real food, and the other 20% of the time my brain can have whatever it thinks it needs. Actually, first you should put on your elastic pants – or your Barney Halloween costume – and then you can stir it up and enjoy. If you’re in the mood for sharing, scoop some up into snack bags and bring them to your child’s school, daycare, or next play date! 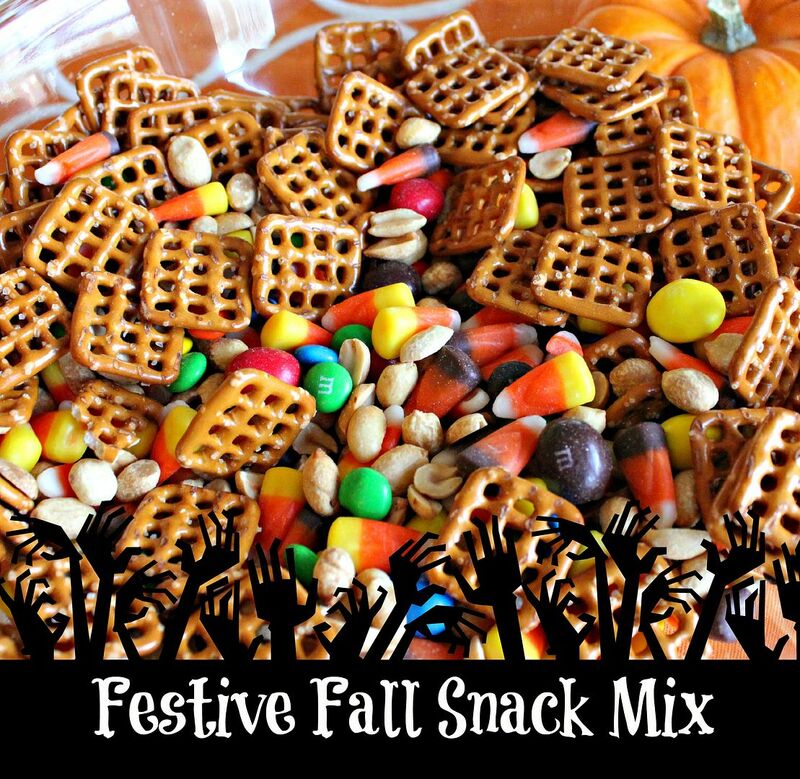 What’s your favorite fall snack? 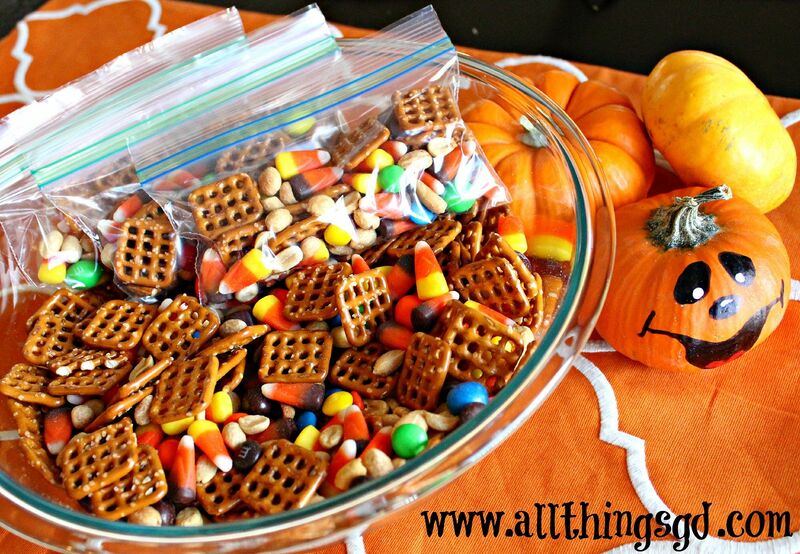 Just packed myself a little peanut and candy corn snack to take to work today! Love these additions though. Am trying to think of a treat to take to my nurses next month when I deliver…this might be the ticket! Mmmmmmm I love peanuts and candy corn, although I have resisted so far this year! Instead, I’ve been stuffing my face with the candy corn M&M’s – TO.DIE.FOR. @Nicole: I hope you enjoyed your snack, and good luck with your delivery next month! @Allison: Really?? It’s hard to believe that candy corn M&m’s are tasty! Hmmm…I may have to investigate this further.